Wednesday has only three games from which to derive your fantasy roster. Montreal seems like the obvious choice for most of your selections as they’re coming in to a game against Vancouver where Montreal has won seven straight games and the Canucks have lost five consecutive. It’s about as big a mismatch as you’ll see. Because most fantasy players will likely employ the same strategy, the secret to winning the night will be in your other game selections that earn you some outside fantasy points. There were a few teams who ran up the scoreboard and some heavy hitters in fantasy play. The first were the Rangers who continue to be the leading scorers in the NHL. Vesey had a three point game and Lundqvist made 35 saves for the shutout victory. Meanwhile, Tampa Bay laid a whipping on the New York Islanders and Nikita Kucherov had four points, two power play goals and five shots on net. Chicago had a number of multi-point players in a 5-1 victory over the Calgary Flames and the Anaheim Ducks beat the Los Angeles Kings 4-0. If you followed my suggestions, you probably didn’t fare too well. The only thing that saved me was a strong performance by Tyler Seguin. Either way, I wasn’t a winner on Tuesday. 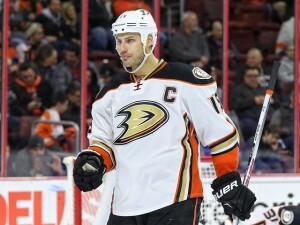 Getzlaf was relatively quiet in the game against Los Angeles and frankly hasn’t been lighting it up for fantasy players who’ve selected him over the past couple games, but it could be due to a nagging upper body injury that hasn’t kept him out of the lineup, but might be affecting his play. Hopefully a back-to-back game isn’t too strenuous to make him an effective selection. He does have nine points in nine games. Kesler has been consistently inconsistent. He seems to go back and forth with strong games followed by not so strong games. He had a strong game on Tuesday so I’m hoping the pattern will change and Kelser can keep his momentum going. Rakell was on fire yesterday versus the Kings. He had a goal and two assists. He’s not a for sure thing with the Ducks on any given night, but at his price, he’s a good value and fits in nicely with my Getzlaf and Kesler suggestions. Perry had two assists against the Kings and now has eight points in 10 games. He leads the Ducks with 34 shots on net for the season and is a top line player who gets power play time and is projected high for fantasy points per game. Weber now has 10 points in nine games. He has 23 shots on net for the season and four power play points, three of them being goals. He’s also made his goals count as of his four goals this season, three of them have been game winning goals. 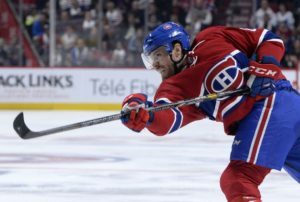 He’s leading his new Montreal team to a tremendous start in 2016-17 and proving that the P.K. Subban trade that saw Weber take a lot of criticism was unwarranted. Weber isn’t done being an impact player in the NHL by a long shot and he should continue his strong play at home against the Canucks. There were two shutouts in the NHL on Tuesday but both were likely a bit unexpected. If there was ever a game and ever a goalie where one might want to predict a shutout, it’s the Montreal game on Wednesday versus the Canucks. The Canucks are a league worst in goals for at 16 on the season and at the bottom of the NHL standings in shots per game. Meanwhile Montreal leads the NHL with the fewest goals allowed at only 13 over nine games. 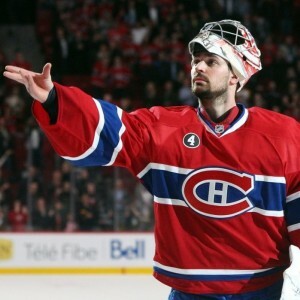 You’d have to wonder how anyone wouldn’t select Price as their fantasy netminder on Wednesday. Steve Ott has been terrible offensively this season. With only one point in seven games, he literally has provided next to no offense for the Red Wings who are 6-4-0 on the season. That said, this is a game that the Red Wings can win and Ott tends to play a little better against traditionally tougher teams. The Flyers aren’t what they once were in terms of toughness, but that may not matter and Ott may surprise. I wouldn’t expect an big offensive outburst from Ott, but he might get a little extra motivation here and could turn in a strong performance.